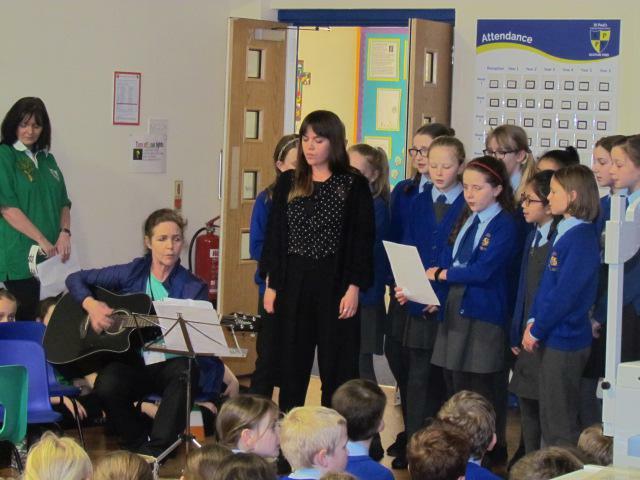 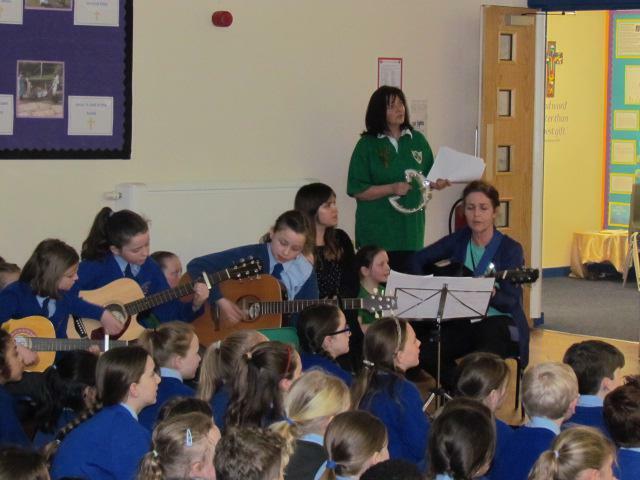 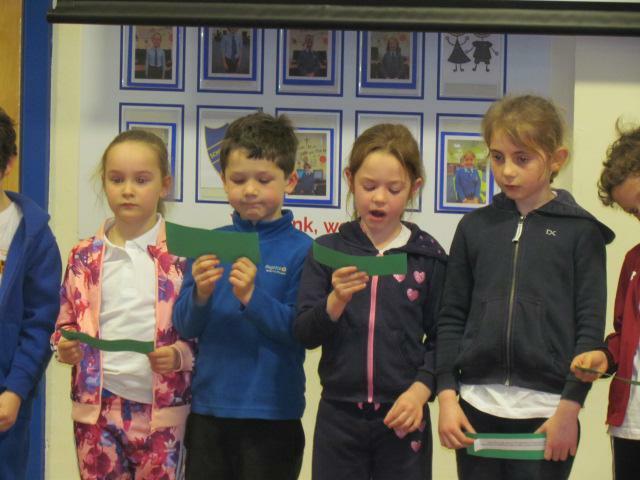 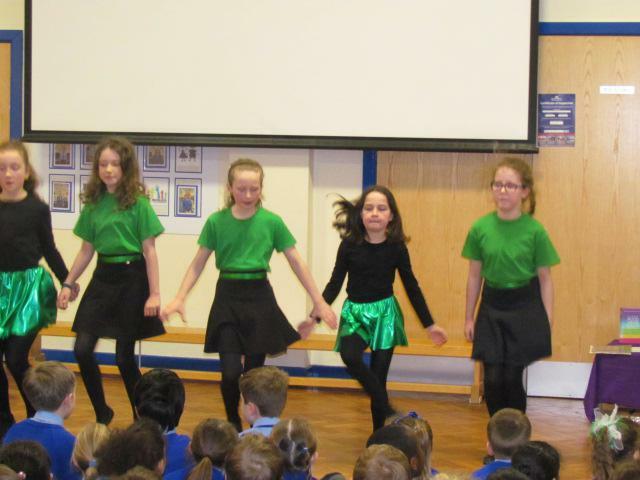 On Friday, St. Paul's pupils and staff celebrated St. Patrick's day with a special assembly, led by Mrs Twohey. 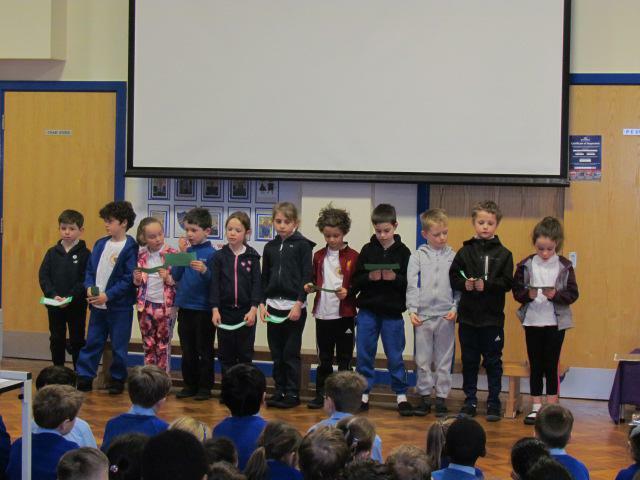 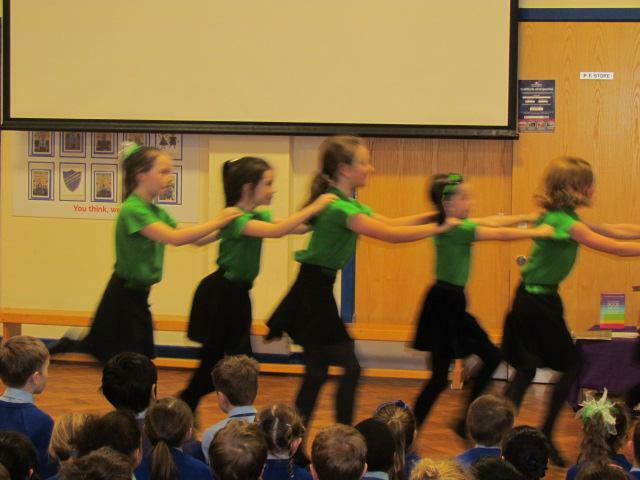 Year 2 told us all about Saint Patrick and his mission in Ireland, to spread Christianity to the pagans and then we enjoyed many of the Irish traditions of dancing, singing and playing musical instruments. 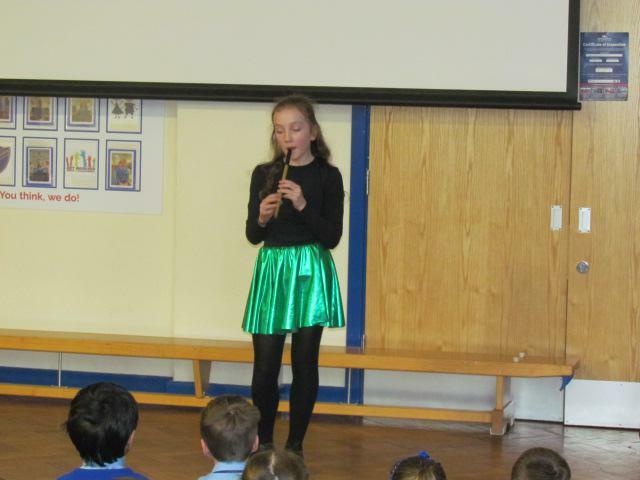 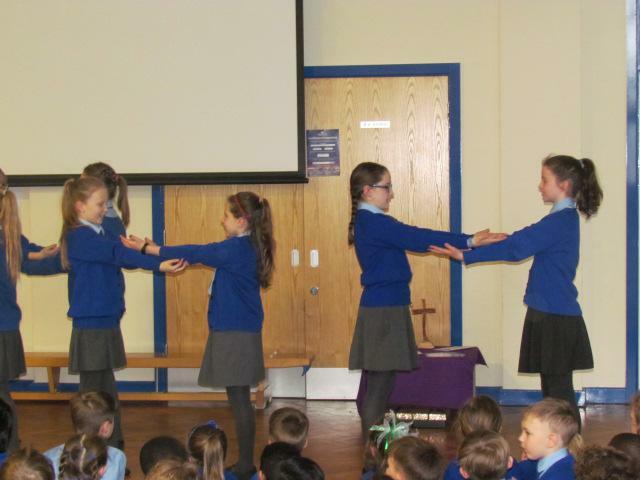 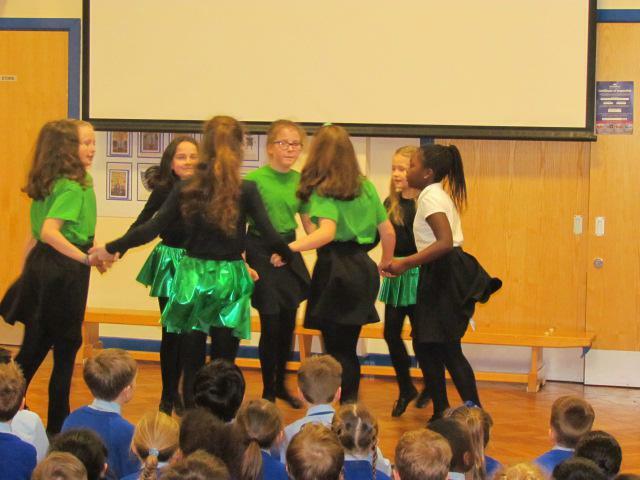 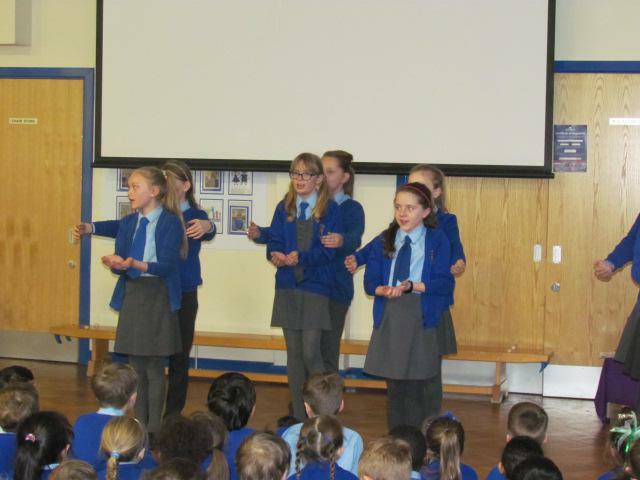 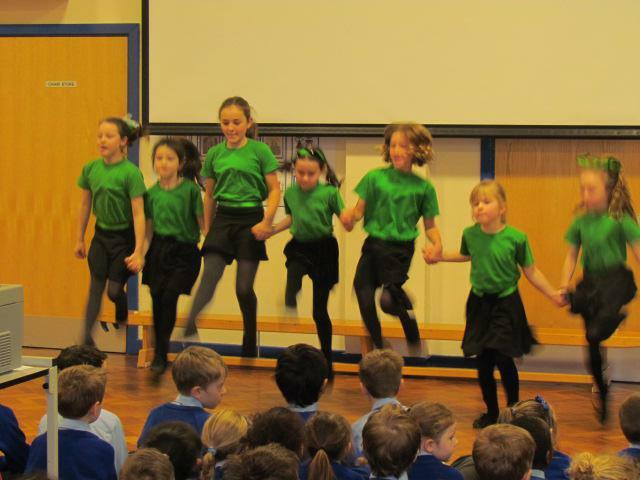 Mrs Lee's school of Irish dancers showcased their fantastic dancing ability, a superb tin whistle solo by a Year 5 pupil and lively singing by Mrs McGurk, Miss Bingham-Hamiliton, the choir, and the whole school joining together in marking this special feast day (17th March).